Richard Hallberg is known for creating sophisticated interiors and exteriors with a strong emphasis on architectural design and detailing. His signature use of scale, proportion, and color, and love of juxtaposing unusual furnishings, both antique and contemporary, his exuberant use of accessories and fine art are apparent in all his projects which range from classical to contemporary venues. 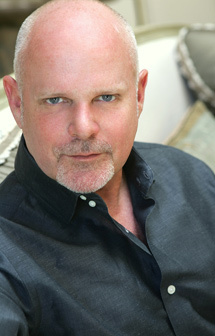 He is also President and Design Director of two nationally acclaimed furniture companies, Dennis & Leen and Formations. With over 1400 products in production and numerous product patents for lighting and furniture design, he is constantly working on products and most recently gearing up to launch an extensive exterior furniture and textile collection. Mr. Hallberg has also consulted with major corporations as their design strategist and is currently working on interior design projects locally and abroad. With a discerning eye and style his work has been recognized and awarded internationally, and published in: House & Garden, Architectural Digest, Elle Décor, World of Interiors, the Los Angeles Times, Veranda and many other trade publications. © 2 0 1 0 R I C H A R D H A L L B E R G I N T E R I O R D E S I G N. A L L R I G H T S R E S E R V E D .
U S E O F S I T E I M A G E S O R C O N T E N T S T R I C T L Y P R O H I B I T E D .